This Noel Coward play about regrets and secrets is said to have been a semi-autobiographical work for the playwright, who even played the lead role of Sir Hugo Latymer in his farewell stage performance. Despite being set in the 1960s, the themes about being honest to yourself and the sharp, witty one liners clearly resonate today with a tart freshness. 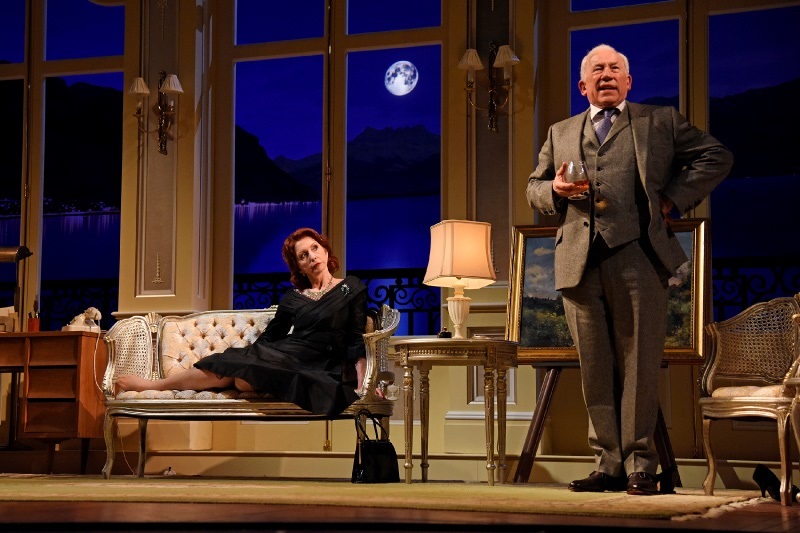 Helping to make this Theatre Royal Bath production so sprightly is the excellent addition of acclaimed actor Simon Callow in the lead role. As Sir Hugo, his distinctive voice and animated performance seem to interact with the crowd. He always has some kind of bond with the audience; a raised eyebrow here, a roll of the eyes there. It gives a very personal touch to the proceedings and there's no doubt that you are watching one of the country's superior acting talents. After all, he is not just an actor but a writer and director too, although it's roles in films like Four Weddings and Funeral and A Room With A View that he's best known for. It's easy to forget that he is a formidable force on stage too in plays from Equus to Waiting For Godot. Coward's wordy, sarcastic and clever dialogue suits Callow well and gives him chance to play with the script in his attention-grabbing plummy tones. Opposite him is Jane Asher, who holds her own with Callow - and that's saying a lot. She is well cast as the blast from the past. The story revolves around an ageing world-famous author, Sir Hugo Latymer, as he entertains a former girlfriend, Carlotta Gray, for the evening. She has asked for a meeting 30 years after they split up and the show slowly unfolds with a series of revelations. Set in Switzerland, in a grand lakeside hotel, the set is luxuriously chic and you feel as though you have been transported over to the other side of Europe. Ultimately, it's Coward's wonderful writing and tone of voice that is the highlight and there are some wonderful lines, most of them put-downs that only the bravest of us would dare use in normal life. It's that sharp wit and touching bittersweet themes of regret that stay with you long after leaving the theatre. Catch it while you can. To 30-03-19.